Each month we organise and promote a Trashlab Repair Cafe event at a different location. 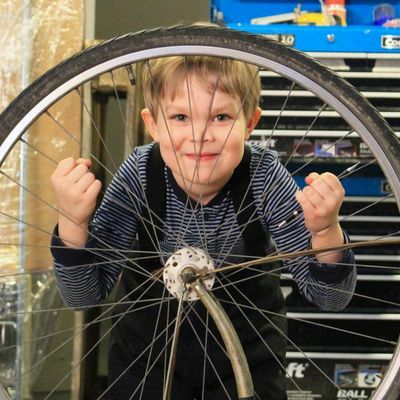 In April, Kulmahuone (Siltasaarenkatu 15) hosts the repair cafe event on Saturday 20.4. from 14-17. Kulmahuone is an inspiring studio and workspace of freelancers, makers and other creatives in Kallio on Siltasaarenkatu. Teacher and sewing-enthusiast Lotta Remming will host the event, which focuses on repairing and modifying broken or unfitting clothes. We´ll have atleast few sewing machines, threads and needles and other equipment at hand. You can also bring your own tools. Trashlab repair cafe events are social occasions to gather and try to fix the things you have that are broken, and meet others who care about tinkering, fixing, hacking, and the problem of waste and obsolescence in society. Each time we try to identify someone(s) in advance who have some experience/skills, although everyone is encourage to help each other. Trashlab Repair cafe takes place as part of the Waste/d theme of Pixelversity 2013. Photo Credit: Päivi Raivio, from previous repair cafe at Helsinki Hacklab. 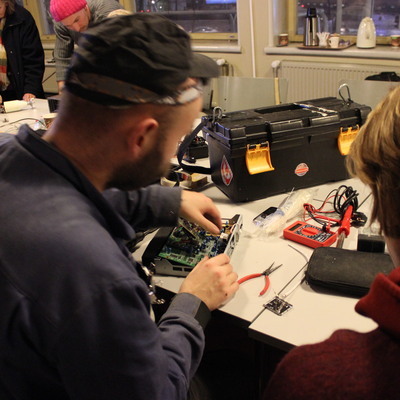 Post: Trashlab Repair Cafe at Kulmahuone 20.4. Pixelache launched it's 2016 Trashlab programme with an afternoon session in the sculpture department of Kuvataideakateemia's kitchen. Hosted by Pixelache's Justin Tyle Tate, the session found a variety of participants fixing clothes, electronics, toys, and bicycles, with some experimentation as well. 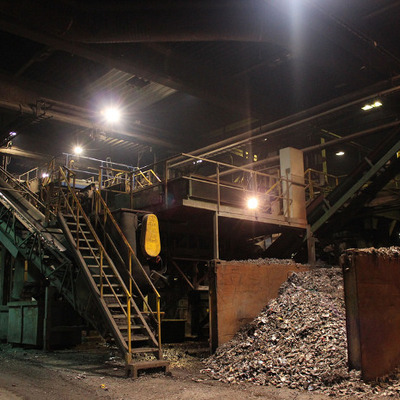 Trashlab will continue throughout the year with regular activities. Check back here or on the usual channels for more information and announcements. Some photos from yesterday's session are shown above, and you may also find the whole gallery on Flickr. Post: Trashlab events at Kaupunkiverstas: Now 2.10. & monthly in 2014!